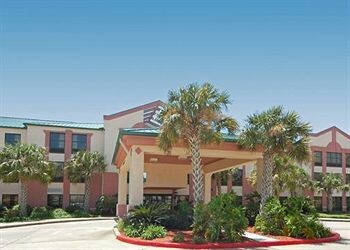 Property Location Centrally located in New Iberia, Comfort Suites New Iberia is within the region of Zoo of Acadiana and Acadian House. This hotel is within the region of Evangeline State Park and Arceneaux Park.Rooms Make yourself at home in one of the air-conditioned rooms featuring refrigerators and microwaves. Complimentary wireless Internet access is available to keep you connected. Conveniences include coffee/tea makers and irons/ironing boards, as well as phones with free local calls.Rec, Spa, Premium Amenities Enjoy recreational amenities such as an indoor pool and a fitness center.Dining A complimentary buffet breakfast is included.Business, Other Amenities Featured amenities include a business center, complimentary newspapers in the lobby, and a safe deposit box at the front desk. Free self parking is available onsite.